HBO kicked off the rise of the serial television drama with its excellent lineup, centered around The Sopranos, at the beginning of the last decade. Since then, other cable channels (and networks!) have jumped into the fray, but HBO is out to prove that they can still hold their own in the genre. 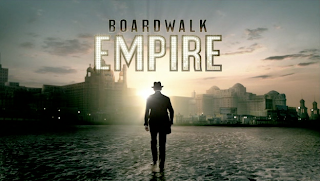 As a result, their newest program, Boardwalk Empire, is a no-holds barred attempt to become the next big Sopranos - big names (Steve Buscemi, Martin Scorsese), exotic atmospheres (Prohibition-era Atlantic City), violent plotlines and a colorful cast of characters. The result is what currently airs on HBO on Sundays at 9 pm - which means you can enjoy their newest drama while still flipping the channel in time to catch Mad Men. Ratings have been so high that HBO has already renewed the show for a second season. With a program with such credentials and marketing, it's little wonder that Boardwalk Empire has proved to be a success so far. But is the show any good? What follows is my take on the first two episodes of the series (the third episode will premiere next Sunday). 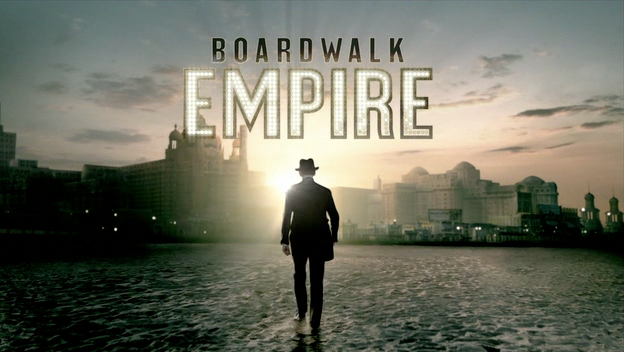 Boardwalk Empire centers around a motley assortment of politicians, criminals and businessmen (and some who are all three) in Atlantic City during the Roaring Twenties. Prohibition has just come into effect in the first episode, but the characters aren't going to let those silly little Constitutional Amendments get in the way of a good time. In these days before the Trump-ification of Atlantic City, the liquor is flowing, the women are willing, and the atmosphere is one of wild decadence and unrestrained hedonism. Steve Buscemi stars as "Nucky" Thompson, the corrupt treasurer of the city who is committed to padding his own pockets while he keeps the party running. In the first episode, Nucky starts to make deals with the historical mob figures in American history to get a bootlegging operation going - Al Capone, "Lucky" Luciano, "Big Jim" Colosimo and Arnold Rothstein all make appearances. Meanwhile, Nucky's nephew Jimmy (Michael Pitt) is a moody Princeton-drop-out-turned World War I vet who is getting tired of living off his uncle and starting to yearn for some more ambitious enterprises. We've seen this all before, on the very same channel. Part of me feels like Boardwalk Empire is simply The Sopranos set in the 1920s. You have your central gangster (a violent hoodlum but also a family man), your colorful cast of supporting gangsters, your young ambitious nephew who doesn't respect the "Old Ways," your excuses to show a bunch of breasts whenever anybody goes to the nightclub. In terms of plot, Boardwalk Empire doesn't seem to have that much to differentiate itself from other crime shows, except for the historical setting. Additionally, I was not all that intrigued by any of the central characters in these episodes. Don't get me wrong, none of them were boring or poorly-acted, but nothing pulled me in or convinced me I needed to see more. Steve Buscemi's expressions range from smarmy to angry, and although there are hints of a wider emotional field, the first few episodes haven't capitalized on his character beyond the standard wisecracking antihero stereotype. Likewise, his nephew Jimmy seems to be the stock up-and-coming moody young person - a little too ambitious, with not enough respect for the older generation, and not yet having learned the ways of the criminal underworld. In short, he's Christopher Moltisanti from The Sopranos. However, Boardwalk Empire seems to promise a wide array of supporting characters, and its possible the show will get more interesting once all these tertiary figures are fleshed out with personalities of their own. For example, neither Nucky or Jimmy are that captivating when alone, but their scenes together were some of the best in the first two episodes - two men, each corrupt in their own unique way, struggling to remain true to their family while working against each other. The federal agent has potential, as does "Chalky White" (played by Michael K. Williams, aka Omar from The Wire) who only makes a brief appearance in the first few episodes but has already intrigued me. Similarly, the female characters (who have just recently received the right to vote) have their own potential. It's possible that it will take Boardwalk Empire a few more episodes to set up all the pieces before these players are pitched against each other - HBO shows are not necessarily known for their fast pace. But what's keeping me watching Boardwalk Empire is not the seen-it-before plot or the not-quite-fleshed-out characters, but the setting. 1920s Atlantic City is the most interesting character on the show, and the one thing that blows other crime dramas out of the water. It's a colorful spectacle of sight and sound: ferris wheels and speakeasies and cabaret shows and prizefighters and corruption and casinos and beaches and rich tourists and poor fishermen and classy hotels and slums all stuffed up against the original Jersey Shore. The first episode has two characters engaging in a deep conversation while watching two midgets with boxing gloves beat each other up; later, Buscemi's character goes into an early version of a Ripley's Believe It Or Not exhibit to see premature infants ("Babies Under Three Pounds!" proclaims the sign). So even when the plot isn't that great, there's been so much poured into the the background that Boardwalk Empire simply remains a delight to watch. It's the sort of set other networks couldn't afford, and it's what really sets this show apart from the competition. There's certainly potential here, and I'm going to continue watching in hopes that these characters are developed into something more interesting. Until then, I'll just be basking in the pastel colors of the Monopoly-era Boardwalk, enjoying the view.